The first time Sorkin wrote dialogue was a lonely Friday night in Manhattan. 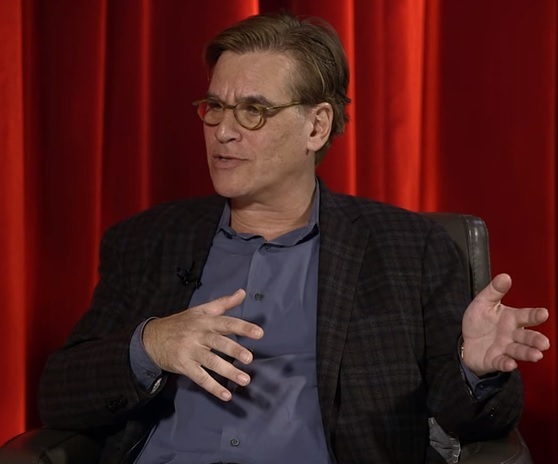 During a recent chat at Loyola Marymount University in Los Angeles, Aaron Sorkin colorfully revisited his creative beginnings. The conversation was moderated by Stephen Galloway, executive editor, features at our sister publication The Hollywood Reporter, and was part of the LMU film and television department’s fifth installment of its ongoing “Hollywood Masters” series. Sorkin offered a powerful analogy to describe not only his own professional aspirations in New York after graduating from Syracuse University, but also one that applied to the path awaiting students in the audience. “I would urge you to get on the bottom rung of a ladder you want to climb, and not the middle of a ladder you don’t care about,” he said. SORKIN: A Few Good Men. It was my first play. I was living with my ex-girlfriend – and I don’t mean that she’s my ex-girlfriend now; I mean she was my ex-girlfriend then, who was dating my best friend. SORKIN: This was a studio apartment like the size of this stage. For $200 a month, she let me sleep on a futon. GALLOWAY: While they were in the other – ? SORKIN: [LAUGHS] No, she would spend the night. GALLOWAY: What happened when he came over? SORKIN: – by the things that are suddenly fine choices to do. But there was one particular weekend when she was out of town, because she was playing Strawberry Shortcake in the traveling Strawberry Shortcake musical. And it was a Friday night in New York – you know exactly what kind of Friday night I’m talking about. It feels like everyone in the world has been invited to a party that you haven’t been invited to. SORKIN: I think it was probably even raining. And a friend of mine, who I had gone to high school with – he’d come to New York to begin his career as a journalist – had with him his grandfather’s semi-automatic… typewriter. It was barely an electric typewriter. Semi-automatic means electric keys with a manual return. GALLOWAY: There was such a perfect actor’s pause between semi-automatic and typewriter. SORKIN: Oh, God, sorry. [LAUGHTER] He asked me to hang on to it for the weekend, because he was going out of town. He didn’t want to schlep it with him. I was going to be staying in on this Friday night, like I said, there was nothing else for me to do. I don’t think I had $3 in my pocket. And nothing in this very tiny apartment was working. The television wasn’t working; the stereo wasn’t working. The only thing I could do to entertain myself, to pass time, was to put a piece of paper in this typewriter and start typing. 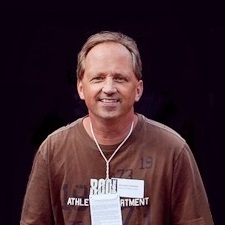 It was the first time in my life that I had ever written for pleasure, that I had ever written for any reason other than a chore to be gotten through for a school assignment. And it was the first time in my life I had ever written dialogue, and I loved it. We love Sorkin’s succinct and spot-on description of the feeling of being isolated in New York on a Friday night. If you’re headed for modified version of that experience tonight (the Internet and smartphones have changed the game somewhat), take heed from these words and procure your own equivalent of that bygone typewriter inspiration. Others guests for this latest Loyola Marymount semester “Hollywood Masters” chunk include Norman Lear, Geena Davis, George Miller and Ice Cube. Check out more from the Sorkin conversation here.